Campsis x tagliabuana is a woody, clinging, perennial vine that attaches itself to structures and climbs vigorously with aerial roots. 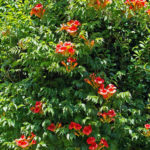 It bears dark-green deciduous leaves, up to 12 inches (30 cm) long. 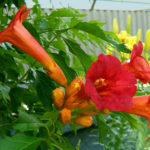 The flowers are trumpet-shaped, orange to red, up to 3 inches (7.5 cm) long and appear in loose clusters throughout the summer. USDA hardiness zone 4a to 9b: from −30 °F (−34.4 °C) to 5 °F (−15 °C). 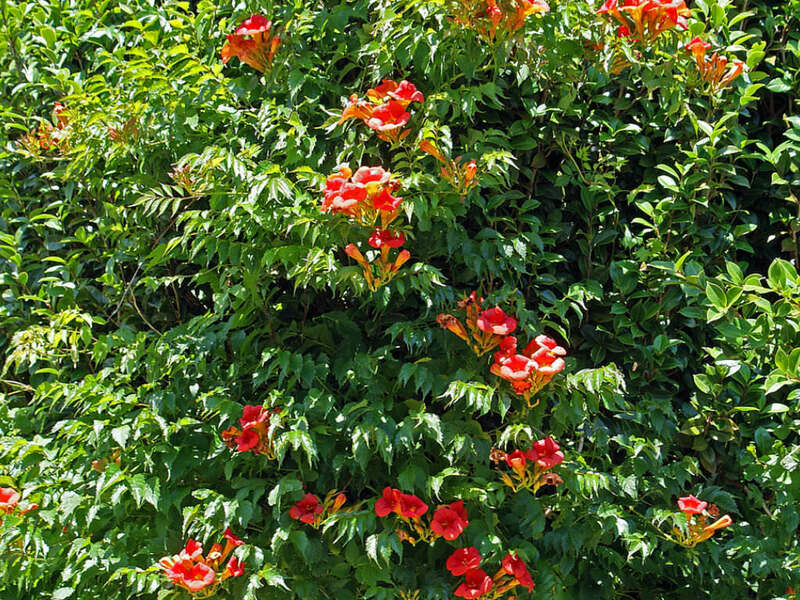 This easily grown vine thrives in both sun and partial shade. 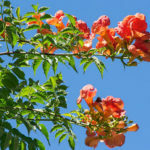 While it prefers a nice well-draining soil, Trumpet Vine flower is resilient enough to adapt to nearly any soil and will grow readily. Be sure to choose a suitable location prior to planting as well as a sturdy support structure. 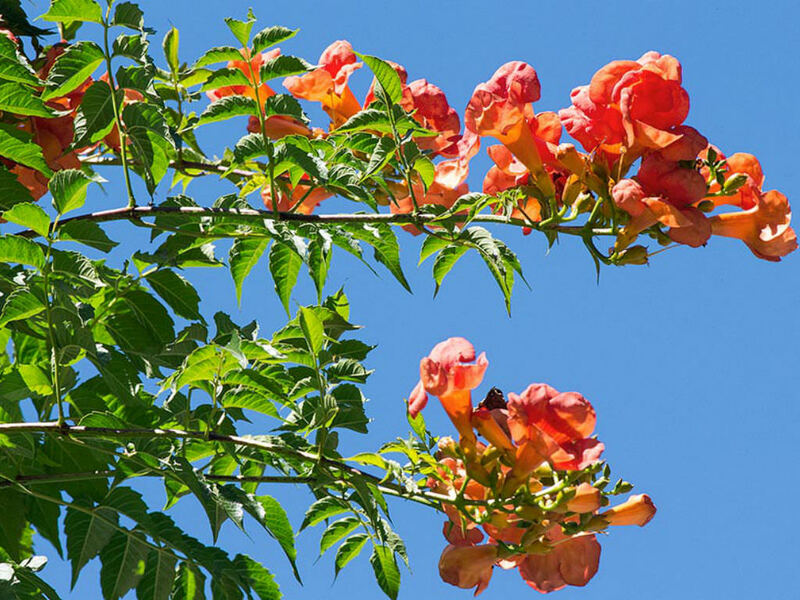 Planting too close to the home or outbuilding could result in damage from the vine’s creeping roots so it’s important that you plant the vine some distance from the home. They can work their way under shingles and even cause damage to foundations. 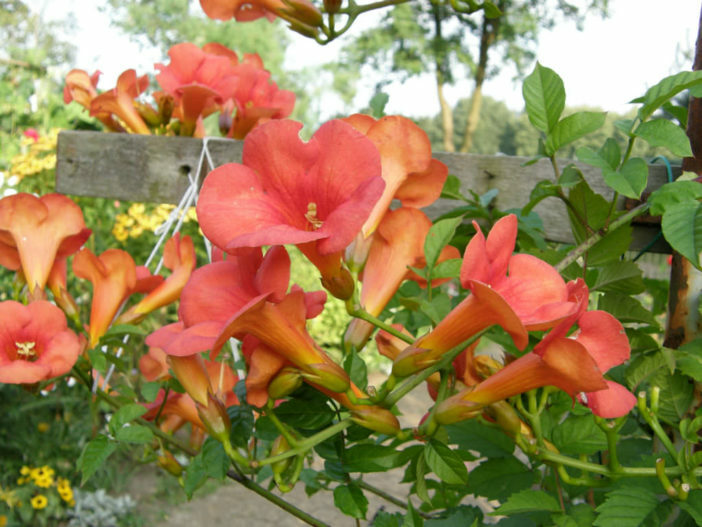 A trellis, fence, or large pole works well as a support structure when growing Trumpet Vines. However, do not allow the vine to climb trees as this can lead to strangulation. 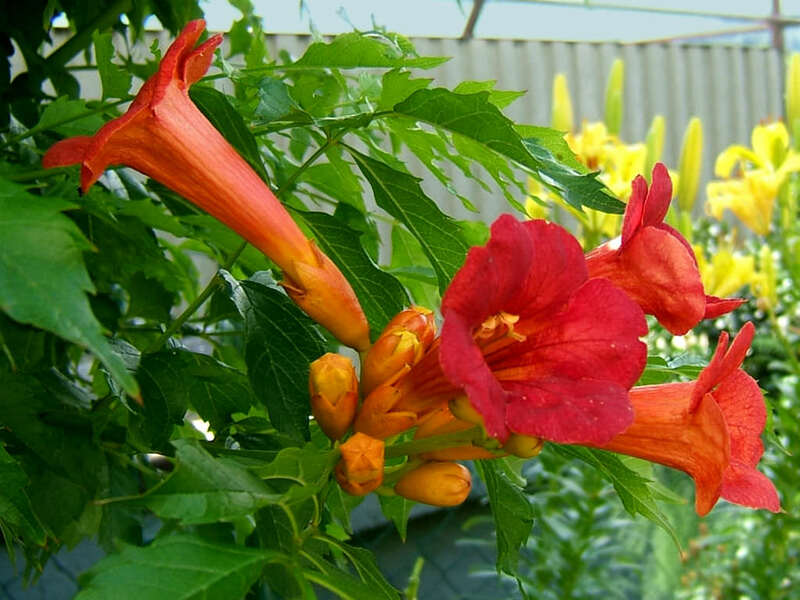 It is a hybrid between Campsis radicans and Campsis grandiflora.